I was recently going through my daily routine and thinking about the things that help me out the most on a daily basis. Not necessarily anything ground breaking, but things that we use every day that also makes our lives feel a bit easier and run a bit smoother. I am also asked frequently which systems we still use and love just as much today as we did the day I posted about them. 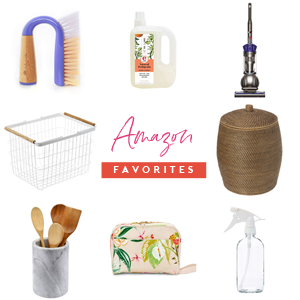 I thought it would be fun to round up those items, and then have you all chime in with your personal favorites as well. I also love to use a compact steamer when I travel. Next up... This little brush finds its way to my hands for a variety of tasks, but I use it daily on our bathroom sinks after morning tooth brushing sessions. Random Personal Fact: For as much as I prefer things clean around the house, I have it stuck in my mind that the messier I am while brushing my teeth, the cleaner I am getting them. We always have a case of toothpaste sink in our bathroom, as well as the main bath where the boys brush. A little water paired with this brush and the sink sparkles in seconds. Another cleaning tool I use every. single. day. is our Dyson cordless stick vac. We have had this buddy for years now, and it helps me combat daily pet hair and crumbs. Not only does it go from hard floor to rugs, it also can lay almost flat to get under hard to reach areas. My favorite feature is that it easily transitions to a hand vac, perfect for those quick cleanups (corners, drawers, stairs, furniture, etc...). Heading back to the bathroom for a moment... Attaching basic ribbon loops to our towels is a simple "hack" that I am grateful for on the daily. 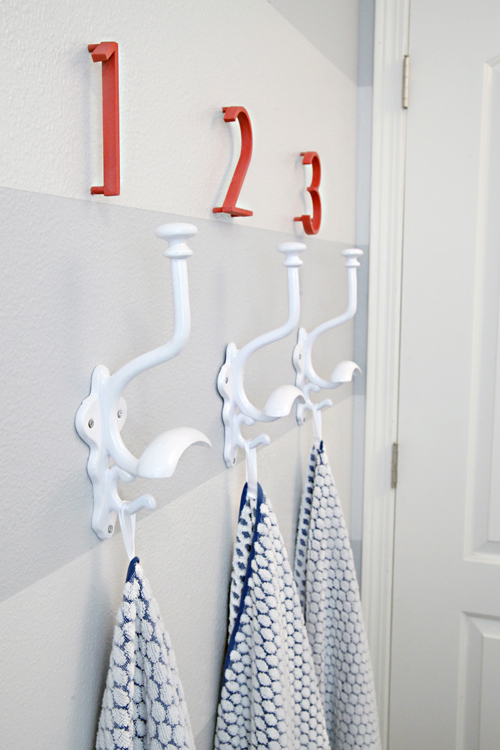 We have been towels-on-hooks people for years now, and these little loops prevent the towels from slipping off of the hooks (because when kids are involved and quickly hanging things, those things also quickly fall to the ground). I think you all know by now I am easily amused, but this one truly gets a thumbs up and is basically a free upgrade anyone can make. 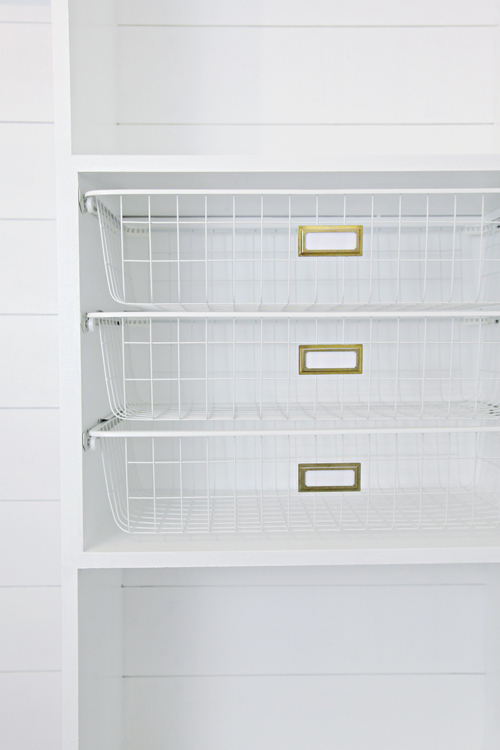 These bins make my list in just about any organizing post, but that is probably because I use them more than any other type of storage bin or basket in our home. 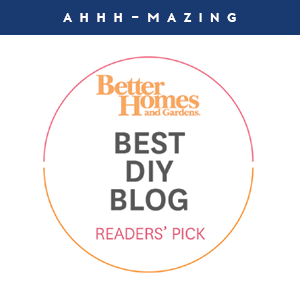 They are light weight, perfectly sized and inexpensive, making them ideal for our fridge, freezer, pantry, linen closet and under bathroom sinks. I can't rave enough about how hard they work for us all over the house. 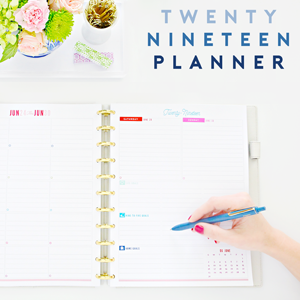 It's probably no surprise that my planner makes this list. The reasons are pretty obvious; I keep my life details scribbled on these pages. 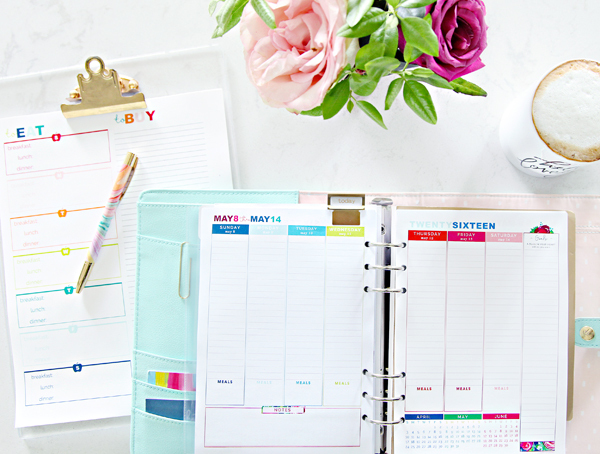 I use my planner pages to set personal goals, keep track of deadlines and appointments, to hold business cards and invitations and even a few of my favorite family Instagram photos.... I would surely be lost without it! 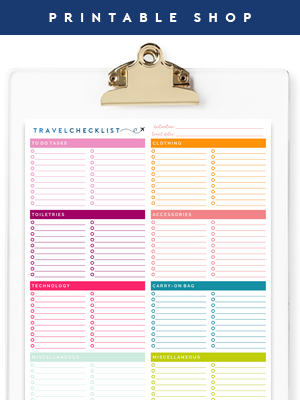 (Cover is the Kikki-K from a few years ago, but here is another similar option). When it comes to stations around the home, there are a few that never let me down. First up, our shoe cabinet. I can confidently say that this is the best piece of storage furniture I have ever purchased. Although my kids still need reminders to actually put their shoes away, getting them to do it couldn't be easier. We have two family paper management systems, one for us (in my office) and one for our boys. This charging cabinet is used daily for posting memos, responsibilities and schedules, as well as sorting specific paperwork and charging electronic devices. Just above the cabinet is a supply drawer with pens, pencils, paper and other office supplies, all which are also used daily by all of us. A single cabinet and drawer really receive a lot of love and attention, yet it is all concealed in a really wonderful way. Also in the kitchen, we opted to utilize turntables or 'lazy susans' in our corner cabinet. 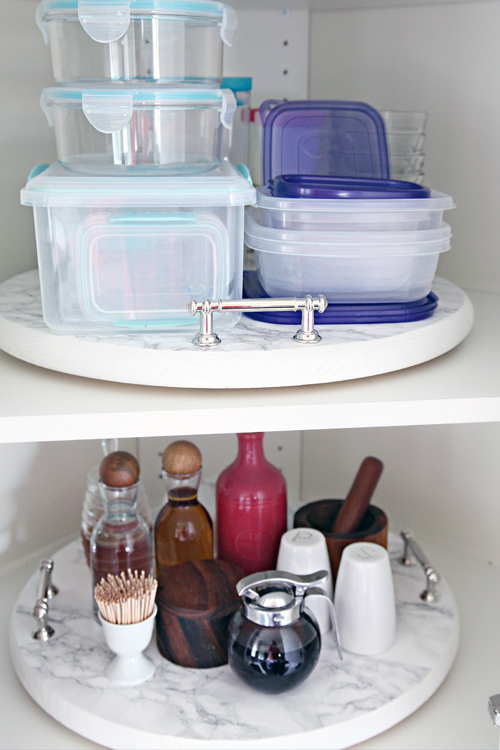 I had no idea what a difference these would really make in organizing our frequently used kitchen items. I find myself smiling every time I just give it a spin and I am able to easily grab what I need. In fact, I have just begun to really nail down our fridge organization, and another turntable made its way there as well. And our large corner base cabinet has large dual turntables/carousel for our pots and pans. I am already thinking up ways to use these in more areas around our house, I am a superfan! With five folks living in this house, we have to do laundry on a daily basis. One thing that has really helped us in general is cutting down on how much we separate/sort (we only separate whites, linens, cleaning rags and delicate items). In our case, over-sorting caused too many piles form in between loads. From there, having a specific sorting basket for each boy is a sanity saver for us all. The clothes are sorted and put on hangers straight from the dryer, then placed into each individual boy's basket and placed in their bedrooms to be put away. They then return the empty baskets to the laundry room with any spare hangers and the process then plays on repeat. Each one of these systems and products has proven beneficial to us on a daily basis in terms of saving us time and headaches. 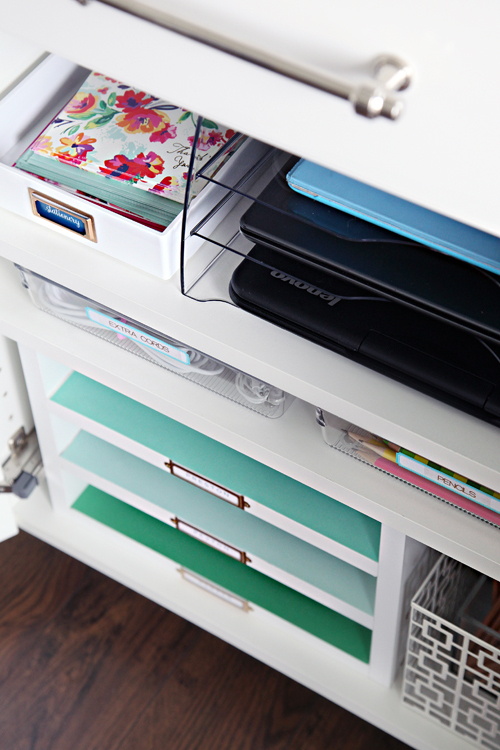 Now that I have shared my favorite daily products, storage solutions and tips, I would love to hear all about yours as well. What would you be lost without? Are there certain areas of your home that work really hard for you, so you don't have to? What small life hacks have you made that bring you moments of joy each day? Don't keep these tips to yourselves, sharing is caring my friends! That's makes me so happy to hear! I still love ours too, and thought about adding it as #11. :) It's a good one!! We like it so much that we are going to buy another one and use it in the bathroom for wet washcloths. We use the wet bag under the sink too and love it! I would love an update post of your fridge once I nail your system down! Are you still happy with your new counter depth refrigerator? We are in the market and I'd love to hear what you think after owning it for awhile. Thanks!! We are still happy with it, but I will admit it has taken a little getting use to. Especially the freezer... I think we have been lucky to have a secondary fridge in the garage for any bulk purchases. I will definitely get into more details very soon. :) xo! I have a regular big dyson vac and a cordless stick. I use both all the time and highly recommend them. One thing that is a time saver at my house is a simple grocery store list posted on the fridge. Family members add to the list what they need or if they ate the next to the last pop tart, and make their wants known. The other thing is a notebook that I put everything that happens repair wise or upkeep wise with the house. Like when we call a Plummer, I jot down the date, who we called, what the problem was and the outcome and cost. I keep receipts in a separate file, but the note book comes in handy a year down the road when I need to quickly look something up for reference. I would love to use a steamer, but I have bad experiences with it. Long time ago I tried the one that comes with a stand to hang clothes and a water container on the floor. Total disaster. I recently purchased Joy Mangano's hand steamer (link below), it works sometimes, but mostly it spits boiling water instead of steam. Does this brand work very well? Any tips? Also, I dont know where you place your piece of clothing when you steam it? I tried door, wall, but i am worried about moisture and heat on the surface. I haven't had any issues with the steamer I have been using, it came with a thick mat that attaches to the back of our door and I feel comfortable pressing the steamer up to the clothing like I would an iron. We haven't experienced any door damage or spitting water with our steamer. I also use it on our curtain panels and bedding on occasion. Overall some pretty good reviews on this one which is why I took the chance. I think if you were worried about the moisture under the surface you could maybe add an extra layer with a thick towel? I hope that you have better luck down the road. Hi! I love this post! I had a quick question....for item number 5 (the bins) which size do you find you use the most? Thank you! All such great ideas and I LOVE my steamer. Everyday user over here! ;). Can I ask you where you got those adorable knobs for your IKEA cabinet? Also, did you paint it? What color? It's such a beautiful gray! Hello-I always love great ideas. Keep them coming! An alternative to the loops on the towels is button holes sewn into the edge (same place there you put the loops). I add button hole to the middle edge of our hand towels so that they hang easily over a hook in our bathroom. Works like a charm. 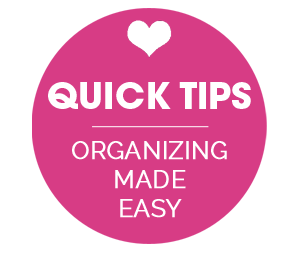 Oh i love that tip as i am a bit OCD about things like tags and loops hanging off the edges of my linens when i fold them. But button holes would hide seamlessly! Great idea! Well its not exactly a single product but my favorite inspiration from your blog is the encouragement to set up 'stations' whether it be an entire closet system or simply a labeled box for all the breakfast items. And not limping along with something you love that just doesn't work. Once I get function, form and beauty can follow easily and before i know it i have a favorite i love even more. Thank you for all the great ideas! I love your hooks in #4. Where did you get them? The hooks were originally from Pottery Barn but I scored them on eBay! One of my favorite finds! 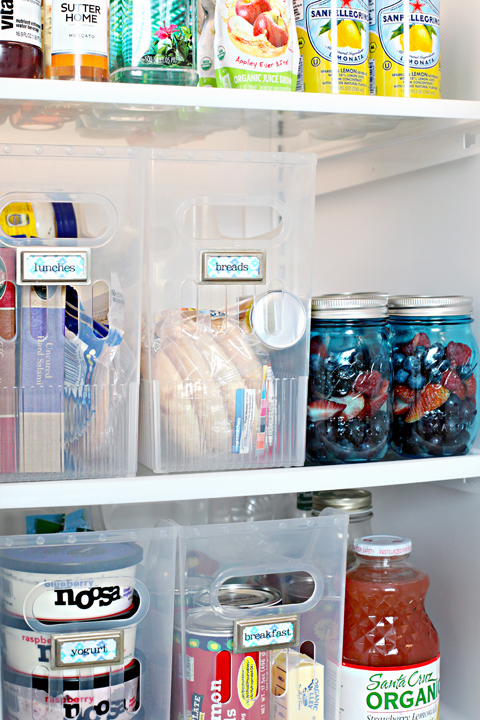 I love the clear bins you use in the fridge/freezer. I have been using them for years now in my freezer after reading that post and I love it! I couldn't take the veggie bag avalances anymore when I opened the door. Now, im able to store more. Plus I have a food saver so when I get big containers of ground meat, i'm able to "file" them also for more room by pressing the meat flat in the foodsaver bags after sealing. Also, our laundry room sits off the kitchen, so I installed shelves that sit right on the top of the control panels. 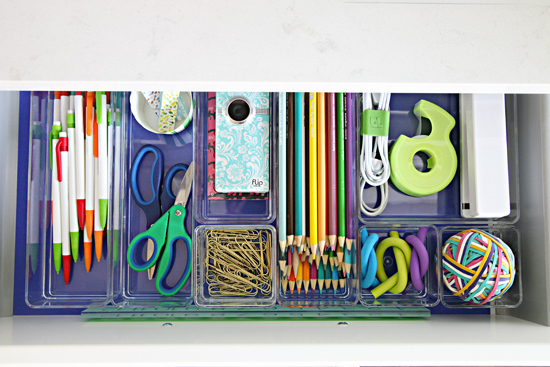 There is just enough room between the shelf and cabinets to utilize oval plastic beverage bins like you can find at the dollar store or target dollar bins in the summer. One is for recyclables and the other is for dirty kitchen rags. Dyson cordless stick vac. is just the best thing. 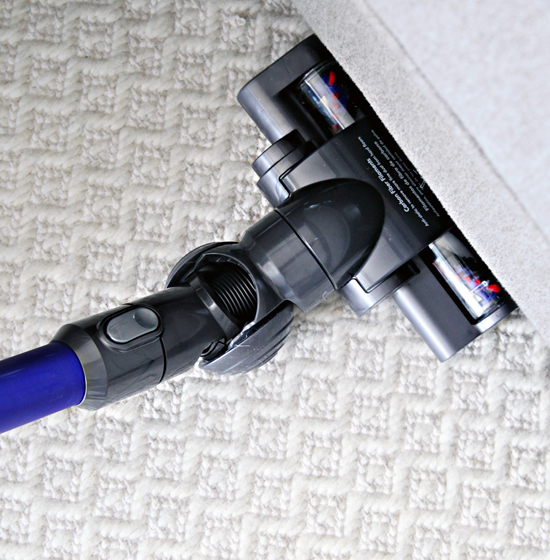 I can't imagine better tool to help me with my carpet cleaning domestic chores. For some reason, I am just now seeing this post, so sorry for the late comment! I love all the products you shared here. In fact, I love your whole blog. I have spent hours and hours (in the same sitting) reading your blog posts! This has nothing to do with your post, but I saw a picture (I think) of Tieks in your shoe cabinet. If that is, in fact, what they are... Do you like them? Are they worth the money? Thanks! Keep up the great work!! Great eye! Those are Tieks you spotted in the cabinet. I received them as a gift a few years ago and they really grew on me to be one of my favorite pairs of shoes. They definitely went through a break-in period and become more comfortable the more I wore them. My feet are always cold and I found them to be great at keeping them warm, especially around the house during our colder months. They are amazing quality, and still look great years later. 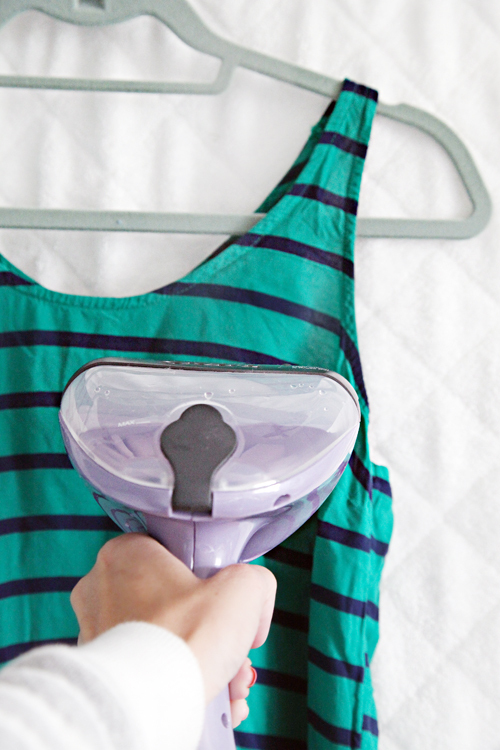 I love the idea of using the hair dryer as a quick steamer! Used it today with quick success. Faster than using my steamer for a few wrinkles in a hurry. Thanks! Loved your idea of keeping a scrub brush handy by the bathroom sink and decided that that needed to happen at our house. 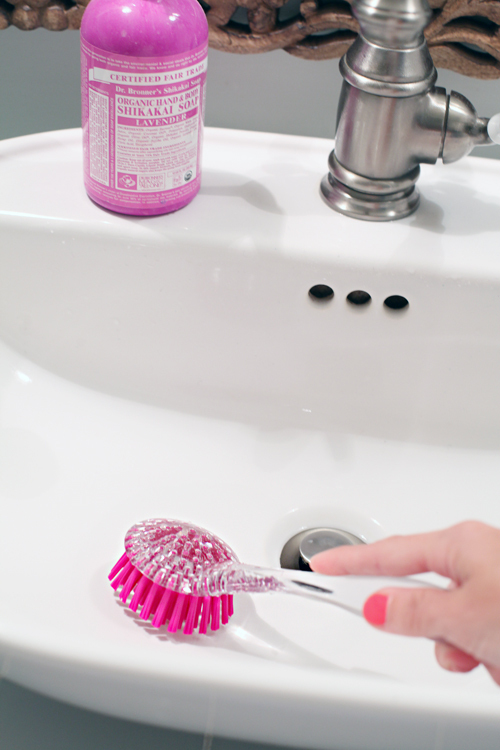 I use a dish brush with a soap dispenser (filled it with vinegar + Dawn) and I love it!!! It's so easy and quick. THANK YOU!